Flory De Colt 6' offers 2 styles: Drop-in (podium) or install within 3 walls (3 side tile flange). 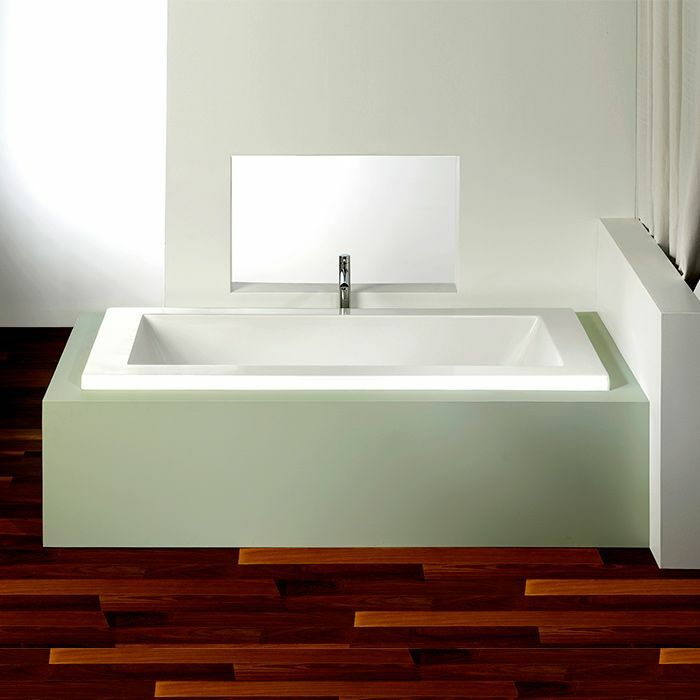 Modern tub with center drain & two sloping backrests. The Flory De Colt 6 foot tub can be ordered as a soaking bathtub or for a massage tub; choose from 2 air bath styles, whirlpool jets or combine air & whirlpool jets. Center drain bath for two bathers.